SWITZERLAND, Zurich — Based on breaking news and events, it appears that CIA Headquarters beneath Lake Geneva is preparing to execute a wave of Islamic terror in Egypt. Said attacks will most likely be scapegoated onto the state-sponsored terror groups known as Al Qaeda and/or ISIS. Exactly what type of terror is now in play for Egypt is not known, but attacks on Egyptian airports, landmarks, nuclear reactors, trains and schools are all possible. Egyptian tourist attractions are also extremely vulnerable to attack, namely the pyramids. That being said, it now appears that the CIA will execute a made-for-TV 9/11-style biological or nuclear terror attack and/or the full-scale ISIS invasion of Egypt using the previously hijacked Malaysian Airlines Flight MH370 which is allegedly being held in Iran or Pakistan. 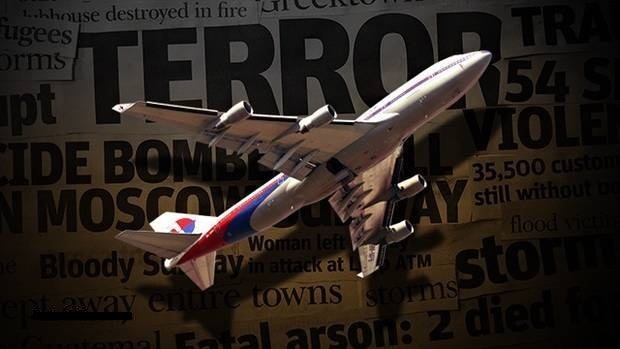 As reported ad nauseam, the previously hijacked Flight MH370 was disappeared by the CIA back on March 8, 2014, explicitly to execute a WMD-related attack and/or transport hundreds of ISIS terrorists from Iraq, Jordan and Syria into a country like Egypt. Consequently, an ISIS-inspired coup d’état of the Egyptian government may now be in order. A future terror scenario in which hundreds of Special Forces (i.e., professional terrorists) in black ski masks invade Egypt in order to hold Cairo hostage may now be in order. In what appear to be pre-Malaysian Airlines Flight MH370 terror programming, the Daily Mail published a report back on October 31, 2015, entitled “Is This Proof ISIS Shot Down Russian Plane Killing all 224 on Board?” which foreshadowed ISIS activity in Egypt just prior to an unprecedented wave of terror. Three days later on November 3, 2015, the U.S. Embassy in Egypt warned its staffers not to travel in Sinai after the ISIS plane crash. Consequently, an ISIS-related attack on the U.S. embassy, Egyptian airline hijackings and/or an attack on Egyptian airports may now be forthcoming. In what appears to be an ominous sign of Egyptian terror to come, it was reported on November 4, 2015, that a suicide bombing in the Sinai Peninsula killed at least 6 Egyptian policemen. Consequently, ISIS-related attacks on Egyptian police stations and/or the Egyptian government building may now be in order. Lastly, in order to highlight ISIS in Egypt on an international level just prior to a wave of state-sponsored terror, it was reported on November 5, 2015, that the UK’s top diplomat stated that there is a ‘significant possibility’ that ISIS brought down the Russian plane. The notion that terror is planned for the Egyptian pyramids was first identified back on June 4, 2015, when the two people were killed in a terror attack at the Giza Pyramids. Needless to say, the attack was state-sponsored in nature and was executed in order to set the precedent for a far deadlier attack. The notion that ISIS wants to destroy Egypt’s pyramids and tourist attractions was foreshadowed back on July 3, 2015, when ISIS stated that destroying Egypt’s Sphinx and pyramids is their “religious duty”. Since ISIS is state-sponsored in nature, the report is in essence what the CIA is planning to attack next. The notion that ISIS is targeting so-called ancient tourist attractions was recently witnessed back on September 1 2015, when ISIS reportedly destroyed Palmyra’s Temple of Bel in Syria. The attack was designed to set the precedent for a far deadlier ISIS-related attack on a tourist attraction in Egypt. Lastly, on October 5, 2015, it was reported that ISIS blew up Palmyra’s Arch of Triumph. Again, the attack was executed by Special Forces in order to set the precedent for a far deadlier ISIS-related attack on a tourist attraction in Egypt. The Egypt-ISIS terror narrative was first identified back on January 30, 2015, when an ISIS-affiliated terrorist group reportedly killed 26 people in bomb and rocket strike on Egyptian police and military installations in the Sinai Peninsula. 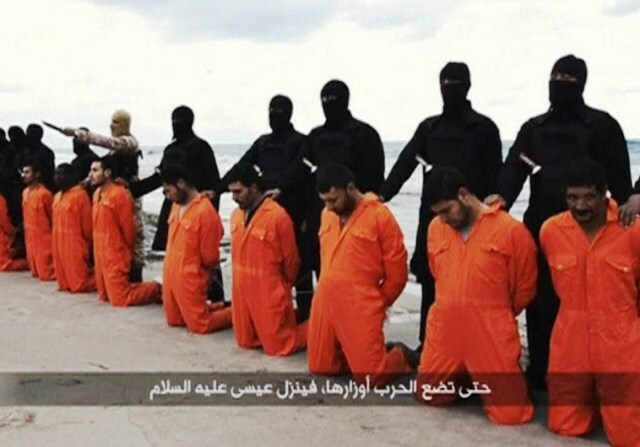 Roughly 3-weeks later on February 16, 2015, Egypt reportedly executed airstrikes against ISIS in Libya after militants reportedly beheaded 21 Egyptian Christians, providing a motive for a revenge terror attack against the Egyptian government and their New Suez Canal. Four months later on June 10, 2015, it was reported that a suicide bomber stuck the ancient temple in Luxor, Egypt. The attack was, which was likely state-sponsored in nature, was evidently executed in order to sell the notion that Egyptian landmarks are subject to an attack, making the notion of an attack on the New Suez Canal all the more believable. Roughly a month later on July 2, 2015, it was reported that 17 Egyptian soldiers killed in a Sinai Peninsula attack by ISIS. The brazen attack on 5 Egyptian military checkpoints has set the precedent for an ISIS-related attack on the Egyptian Navy which has been tasked with guarding the New Suez Canal. In order to sell the notion that the Sinai Peninsula is swarming with ISIS-related terrorists just prior to an unprecedented state-sponsored terror attack on the New Suez Canal, it was reported on July 8, 2015, that roughly 250 ISIS terrorists were killed in Sinai. Another 60 ISIS-related terrorists were also arrested. In order to sell the notion than an ISIS-related terror attack in Egypt is imminent, it was reported on July 9, 2015, that security has been beefed up at a number of popular tourist resorts after the Egyptian government issued a terror warning that ISIS may attack. Roughly a month later on August 6, 2015, it was reported that an ISIS branch in Egypt threatened to kill Croatian hostages ‘in 48 hours’. Roughly 3-weeks later on August 20, 2015, a large bomb reportedly exploded in a Cairo neighborhood, an apparent preview of Egyptian terror to come. Two weeks later on September 3, 2015, 6 peacekeepers, including 4 U.S. soldiers, were reportedly injured in Sinai explosions. The explosions were evidently staged in order to foreshadow tourist-related terror in Egypt. Lastly, on September 4, 2015, Fox News published a report entitled “‘Nothing to Stop ISIS’: Attack Underscores Threat Facing US Force in Egypt”, further foreshadowing ISIS-related terror in Egypt. In what appear to be pre-Malaysian Airlines Flight MH370 terror programming, the Daily Mail published a report back on October 31, 2015, entitled “Is This Proof ISIS Shot Down Russian Plane Killing all 224 on Board?” which foreshadows ISIS activity in Egypt just prior to an unprecedented attack. SWITZERLAND, Zurich — Based on breaking news and events, it appears that the CIA Headquarters beneath Lake Geneva is preparing to execute a wave of false-flag terror attacks in Egypt. Said attacks will predictably be scapegoated onto the state-sponsored terror group known as ISIS. Exactly what type of terror attacks are now in play for Egypt is not known, but attacks on Egyptian airports, landmarks, nuclear reactors, trains and schools are possible. That being said, it now appears that ISIS will launch a wave of terror attacks on Egyptian tourist attractions, namely her pyramids. The notion of a terror attack at the Egyptian pyramids was witnessed back on June 4, 2015, when the two people were killed in a terror attack at the Giza Pyramids. Needless to say, the attack was state-sponsored in nature and was executed in order to set the precedent for a far deadlier attack. The notion that ISIS wants to destroy Egypt’s pyramids and tourist attractions was foreshadowed back on July 3, 2015, when ISIS stated that destroying Egypt’s Sphinx and pyramids is their “religious duty”. Since ISIS is state-sponsored in nature, the report is in essence what the CIA is planning to attack next. The notion that ISIS is targeting so-called ancient tourist attractions was recently witnessed back on September 1 2015, when ISIS reportedly destroyed Palmyra’s Temple of Bel in Syria. The attack was designed to set the precedent for a far deadlier ISIS-related attack on a tourist attraction in Egypt. Lastly, on October 5, 2015, it was reported that ISIS blew up Palmyra’s Arch of Triumph. Again, the attack was executed by Special Forces in order to set the precedent for a far deadlier ISIS-related attack on a tourist attraction in Egypt.